Payless Car Keys offering a brand new, remanufactured, oem like, aftermarket remote head keys, smart keys, transponder keys. Ford Fusion New Remote Key Blade.. Dodge Promaster Remote Key Blade..
2017-2018 Chrysler Pacifica 6 button proximity smart key(without key sense)FCC ID: M3N-97395900FREQU..
5+1Buttons Car Key Case for Honda Odyssey 2005-2010 Remote Car Key Fob Shell Cover Compatibili.. Compatibility: 2003 – 2007 SAAB 9-3 Aftermarket Brand..
Ford, Lincoln 4 Button New Style H75 Remote Head Aftermarket Key Shell with trunk Compatibilit.. 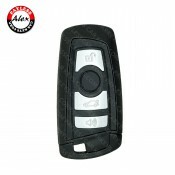 Remote Head key for VW Beetle, Golf, Jetta, PassatIt will generally work for 2006-2010 vehicles200..